A sleepy Caribbean island 40 short years ago, Grand Cayman has established itself as a mature, sophisticated, international financial services centre, providing institutionally focused, specialised expertise to a global client base. Cayman is one of the largest financial centres in the world; home to 275 banks and trust companies, 728 insurance companies, over 9,000 mutual funds, is the preferred shipping registry for the world’s mega-yachts, and has a stock exchange with over 1,000 listings. In support of this industry, Cayman has developed a highly qualified financial services infrastructure of lawyers, accountants, bankers, insurance managers, company managers, fund and investment managers, as well as other financial specialists. – The all crimes anti-money laundering legislation of the Cayman Islands has been evaluated by the International Money Fund and by the Financial Action Task Force as being one of the very best in the world. – The Cayman Islands have full income tax transparency with the US, proactive tax reporting with 27 members of the European Union, and full Tax Information Exchange Agreements with 26 countries around the world, including Japan and China, thereby well exceeding the number required by the OECD. – As a member of the International Organisation of Securities Commissions (IOSCO), the Cayman Islands have full ‘regulator-to-regulator’ disclosure with all IOSCO regulators. – Cayman is represented on the board of the International Association of Insurance Supervisors (IAIS) and recently hosted an IAIS global meeting. This success is no better verified then through the area of captive insurance, where Cayman is the leading domicile for healthcare related captive business and the second-largest overall captive domicile, with only Bermuda having more. From humble beginnings in the late 1970s, Cayman is now home to 728 captives writing more than $11.8bn in annual premium and having total assets in excess of $60bn. 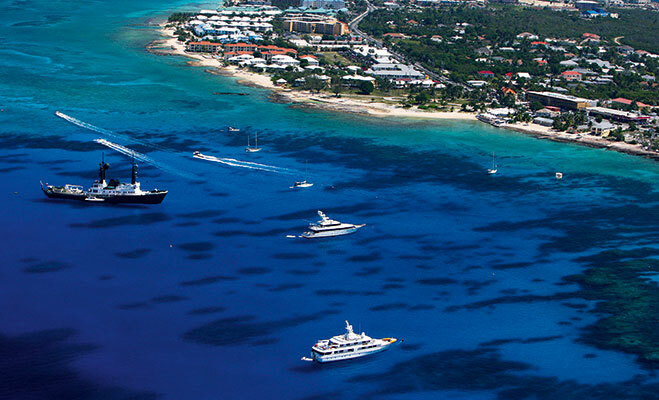 So what fuels the continued success of the Cayman Islands as a leading captive domicile? Well, this can be simply attributed to the unique partnership of a sound and business-focused regulatory regime, together with the unwavering support of the Cayman Islands Government and the Insurance Managers Association, to promote, maintain and protect the reputation of Cayman as the domicile of choice for captive insurance. This only goes to show what can be done when a domicile truly works together towards a common goal. The annual Cayman Captive Forum, organised by the Insurance Managers Association, attracted over 1,200 delegates in December 2011 and is now the largest captive-focused event annually. The event features a wide range of speakers and educational presentations on all aspects of the captive and insurance industry, with this year’s event scheduled from November 27th to 29th at the Ritz Carlton, Grand Cayman. Traditionally, when people think of captive insurance companies, they first think of ‘single parent’ structures in which a captive insures or reinsures the risks of its parent or affiliates, but more and more businesses are now discovering the benefits of group or association captives, as well as Segregated Portfolio (also known as Protected Cell) Captives (SPC). SPC is a single corporate legal entity with the benefit of statutory segregation of assets and liabilities between segregated portfolios established within the company. This allows for one entity to cater for a number of unrelated insureds without the risk of cross liability. There are many benefits to establishing your own captive insurance vehicle, or joining an existing one, including coverage and programme design flexibility, insulation from market fluctuations, control of costs, improved cash flow and an improved negotiating position. These benefits are generally acknowledged at the feasibility stage, however there are others that may not be foreseen at the time of establishing the captive, but which soon take on increasing importance. The most significant is the development of an enhanced safety and claims management ‘culture’ throughout the organisation. When insured in the traditional marketplace, most entities will balance the health and safety regulatory requirements with the cost benefit of their implementation, and the establishment of quality control initiatives (in whatever field) with the downside risk of an insurance claim that ultimately gets spread to thousands of other policy holders. However, once in the captive insurance arena, the scenario changes dramatically. With premiums more closely tied to your own loss experience, and every amount saved potentially flowing to the bottom line of the captive and ultimately its owner(s), the incentive to focus on reducing incurred claims by enhancing the emphasis on safety takes on an entirely new importance. Whereas before, insurance was usually handled by the HR or finance departments as a ‘necessary evil’, and rarely came to the attention of senior management, now the latter can sit on the captives’ board of directors and have the opportunity to interact with external professionals and captive advisors, whom bring to the table a wealth of knowledge that might otherwise never reach them. In a group captive environment, they have the ability to exchange success stories with other shareholder companies, whether or not in related industries. As a result, and most importantly, the culture shift permeates from the top down. Incentive programmes can be initiated, modified duty and return to work programmes are implemented, risk management studies are carried out, often with grants from the captives’ budget, and claims and case management programmes are put into place. So now, instead of being a ‘necessary evil’, the insurance programme can have a significant beneficial impact to the bottom line, as well as being a positive influence on employee recruitment and retention. Over a relatively short period of time, captives can accumulate significant amounts of investable assets (representing loss reserves and shareholder’s equity) and one of the benefits of a captive is that the investment returns remain with the captive, rather than with the policy-issuing carrier under the traditional market scenario. Opportunities for investment by offshore captives are quite diversified, as long as they meet the approval of the local regulatory body, which has an obvious interest to ensure that the captives’ assets will be available to pay claims. So as long as the regulators are comfortable with the captives’ investment policy, the parent has potential access to funds that would otherwise be earning income for the traditional policy-issuing carrier.